BOSTON -- The youngest victim of the Boston Marathon bombing was honored Wednesday during a ceremony to break ground on a park to be built in his memory. 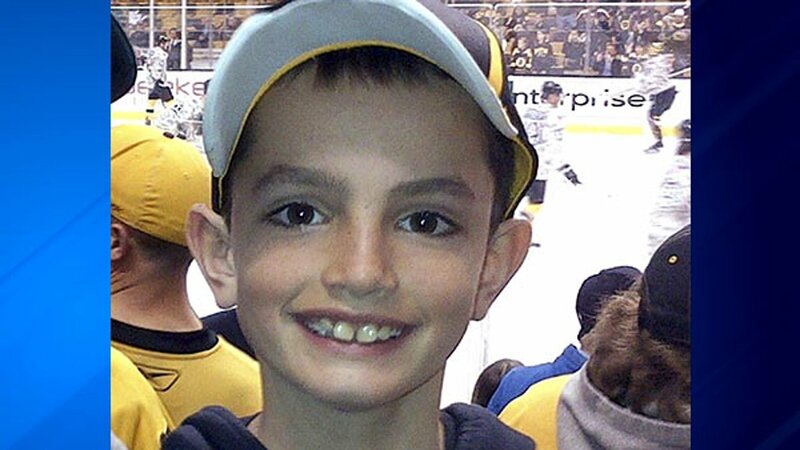 The family of 8-year-old Martin Richard joined Democratic Mayor Martin Walsh, Republican Gov. Charlie Baker and a crowd of supporters at a touching ceremony at the park site on the South Boston waterfront. Martin was among three people killed when two bombs exploded near the marathon finish line on April 15, 2013. Martin's younger sister, Jane, who lost her left leg in the bombing, said the park will have wheelchair ramps so it's accessible to everyone. She said the park will also have a pirate ship, a bucket swing and an amphitheater. "I am so happy to be doing this project, and I know Martin is happy that the community is coming together to build something inclusive, which is what Martin was all about," she said. Bill Richard, the children's father, recalled his son's quick wit, charm and "insistence on fair play." After the bombing, a widely circulated photo showed Martin holding a poster he created the year before with the message "No more hurting people - peace." "His enduring message of peace that just continues to will people to come together for the common good - that's why we're here," Bill Richard said. Bill Richard said the park will be "a place where all kids will have the opportunity to learn together and play together without prejudice." The park will be built near the Boston Children's Museum and is expected to open in the fall of 2018. Dzhokhar Tsarnaev was convicted and sentenced to death in the bombings. His older brother, Tamerlan Tsarnaev, died several days after the bombings when he was shot during a confrontation with police and run over by his brother during an escape attempt.